Minimum balance of $5.00. Low minimum makes it easy to start saving. Earns dividends. No minimum balance and unlimited check writing. Go Green with this environmentally friendly checking account! This account is 100% paperless, requires direct deposit and eStatements. Check writing is unavailable on this account. For members age 55 and older. Allows you to receive free money orders, cashiers checks and check orders. Restrictions may apply. Minimum balance required - A great alternative to a traditional savings account with check writing ability. Some restrictions apply. A Special Share is simply a secondary savings account. Please attach proof of current address. 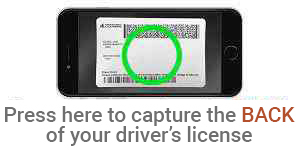 This can include a valid drivers license with current address, utility bill, vehicle registration, or any other document that has gone through the United States Postal Service. Re-enter: Please enter a password that may be used for identification purposes when transacting business on your account. By clicking on "I agree", you authorize us to verify the information you submitted and we will obtain your credit report.